Boasting arguably its strongest line-up yet, Download Festival 2015 will be immense! 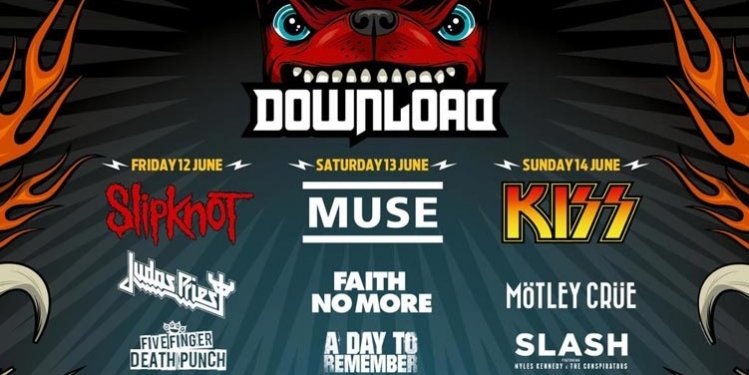 Celebrating its 13th year on the hallowed fields of Donington Park, Download Festival 2015 boasts one of its strongest line-ups yet with Slipknot, Muse and KISS headlining. Also playing across the weekend are Judas Priest, Faith No More, Motley Crue, Black Stone Cherry, Enter Shikari, Marilyn Manson, Five Finger Death Punch, A Day To Remember, King 810, Andrew W.K, We Are Harlot, L7, Lamb of God, Yellowcard, Funeral For A Friend and many more. Download Festival takes place in the hallowed fields of Donington Park from Friday 12th to Sunday 14th June 2015.